If you, or someone you know, is a woman in the mobile/wireless industry or aspires to be, this discussion is a must listen! Joining host Melissa Birnie are two phenomenal women who have had remarkable careers in the tech industry. Conversation topics include the shortage of women involved in the mobile and wireless tech industry, advice for women seeking career growth in tech, and participation in organizations such as MTAM, Inforum or others, and much more. Join us! 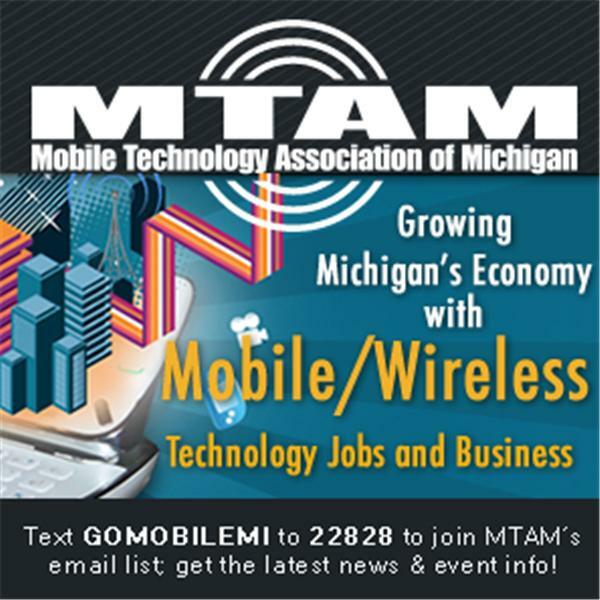 Janette Phillips is Business Development Director for Chrysalis Global Consulting, Chairperson of MTAM's statewide Women in Mobile Tech Advisory Council, and former Executive Director of the Michigan Council of Women in Technology. Kim Green-Kerr is Regional Vice President for the West Region for Sprint’s General Business division and brings to the position over 23 years’ experience in sales, management and leadership. In her previous role, Kim ran sales and distribution for the General Business sales and regional marketing organizations for the North and Midwest Regions and also was Area Vice President for the Michigan/Northwest Ohio Market.